A career dedicated to HIV and infectious diseases clinical care, research and advocacy has been recognised in an Australia Day Honour for University of Melbourne Professor Sharon Lewin, Director of the Doherty Institute and APPRISE investigator. She has been appointed an Officer (AO) of the Order of Australia. The AO is in recognition of her distinguished service to medical research, and to education and clinical care, in the field of infectious diseases, particularly HIV and AIDS. An infectious diseases physician and basic scientist, Professor Lewin is recognised as one of the world’s most eminent researchers for her extraordinary body of work in the search for a cure for HIV. She said she was incredibly humbled to be recognised in this way by the Governor-General. “I am greatly honoured by this recognition. To be honest, I just love what I do! I don’t think of it as work. I am continually excited and inspired by the people I work with and to have had the privilege of training and mentoring younger scientists and clinicians,” Professor Lewin said. “In my career I have seen HIV change from a universally fatal death sentence to a chronic manageable infection with people living with HIV now having a normal life expectancy. Her research has been instrumental in creating new approaches to understanding how HIV can persist despite antiviral drugs. Over the course of her career she has developed novel ultra-sensitive techniques to quantify HIV and laboratory models to understand how HIV goes into hiding. Together with many collaborators across Australia and internationally, she pioneered clinical trials of drugs that aim to wake up the virus so it becomes visible to the immune system. She is also celebrated for her unwavering support, advocacy and inclusiveness of people living with HIV, along with her leadership and support for women and passion for communicating science to a broader audience. Throughout her career, Professor Lewin has been an outstanding mentor and has supervised over 30 PhD and Masters students, many of whom have gone on to highly distinguished careers. She has trained over 50 infectious diseases physicians and many researchers from across the Asia–Pacific region and has inspired and mentored many of them to combine research with clinical care. 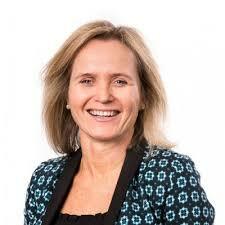 Among her current roles, she is a member of the National Health and Medical Research Council (NHMRC) of Australia; an elected member of the Governing Council of the International AIDS Society (IAS) representing the Asia–Pacific region, and Co-Chairs the Scientific Advisory Board for its global Towards a Cure initiative. In addition, she was a foundation council member of the Australian Academy for Health and Medical Research. Sharon is an invited member of the World Health Organisation (WHO) Strategic and Technical Advisory Committee on HIV, an advisory committee to WHO on strategic, technical and scientific issues in HIV (2014) and a member of the scientific advisory board to the Agence National du Rechereche du SIDA (ANRS, the peak funding body for HIV and viral hepatitis in France) and the Vaccine Research Centre at the National Institutes of Health in the United States. Sharon was appointed as the Local Co-Chair of AIDS 2014 in Melbourne, the largest health or development event ever held in Australia, which attracted more than 10,000 scientists, leaders and community activists to the city. In 2014, she was named Melburnian of the Year and in 2015 awarded the Peter Wills Medal from Research Australia.